Learning and using TRIZ can be very rewarding. While no two people are exactly alike in their motivation to learn and practice TRIZ, there are some immediate benefits that come with increased proficiency. One of the primary benefits is confidence to tackle difficult inventive problems and to raise the bar on products and services. People feel confident when they are developing solution concepts in familiar realms of knowledge and experience. Conversely, we tend to shy away from potential solution concepts which are outside our experience domain. This helps to explain the lackluster results of brainstorming. While the ideas may have been very intriguing during the brainstorming session, the team goes on to develop those ideas that are within their range of knowledge and experience. Can you validate this with your own experience? Have you also unwittingly collaborated with a team to move away from the most intriguing solutions? Now imagine what it would be like if you had the skills to handle any problem. Would you recoil when unexpected problems arise or would you confidently do battle? Experience shows that those that have the skills will also have the confidence to stretch beyond their knowledge domain. They feel free to develop challenging concepts that can result in breakthrough solutions. As a result they have more success in these activities. "Learning theory" shows that learning is the active creation of knowledge. Strangely, everything we know, we discover for ourselves. A teacher cannot pour knowledge into the head of her students. Knowledge has to be created by the student and integrated into what he or she has already learned. After many years of training people in TRIZ, this fact has become more and more clear. The best situation occurs when a student actively studies, practices and teaches others with frequent feedback from a coach. The student must take responsibility for the learning experience. Remember that it is not enough to learn about TRIZ tools. Neurobiology teaches us that skill comes from repeated focus and attention. This means that there must be purposeful inventing and problem solving in order to become proficient. This idea cannot be overemphasized, skill comes from repeated experience. Conversely, it is impossible to develop skill from haphazard or occasional use. These books are structured for students who are willing to take responsibility for their learning experience. It is entirely possible to train yourself if you take it seriously. These books provide algorithms that can be used over and over. Worked examples are provided for difficult concepts. They help explain the thinking process and provide opportunities for experience that that leads to skill. Example problems are often provided. The reader is strongly encouraged to work these sample problems. Do not be afraid to personalize these methods and tools if it makes it easier for you to apply them. I used to be frustrated by students that would “misuse” the tools and seemingly ignore the tool formats that I provided. Later, I noticed that only the serious students were personalizing the tools to mirror the way that they thought. Now I question whether a student is really understanding or applying the methodology when they simply accept what I am teaching. Customizing the tools is highly encouraged! If you are really serious about learning TRIZ then take every opportunity to teach others what you know. Use the two-foot rule and teach anyone within two feet. Do not be concerned that you are a novice. Do not wait until you are an “expert”. Do not be concerned that you will be considered an evangelist. Just have fun and communicate to others that you are having fun. This is a different flavor than you will get from other sources. From a historical perspective, the creation of TRIZ was extremely important. A type of science was born: the science of disciplined innovation. Those who bravely advanced this discipline often made great sacrifices and should be very proud of their accomplishments. These people and the theories that they created are truly remarkable. Early developers created competing models for solving inventive problems. These models do not make clear distinctions between the different types of inventive problems and consequently overlap with each other. From the viewpoint of beginners, this is confusing. "Where do I begin?" From the viewpoint of some practitioners, overlap is a good thing as it allows a person to look at the problem from a variety of viewpoints. In effect, the same questions are asked in different ways. Those practitioners that like the overlap usually find a way to make use of everything by forming their own algorithms. From the viewpoint of improving a science, overlaps are chaotic and confusing. Science is the detection and use of patterns for the purpose of predicting. When patterns overlap it is difficult to tell if something is missing or what to do with new information. Patterns need to be distinct, with clear lines of definition and classification. This is necessary in order to generalize predictive theories. Science advances by observing how theory matches reality. Supporting observations reinforce and build the theory. Exceptions create dissonance and allow for the change of theory. If we want to advance the science and discipline of inventing, we need to eliminate the overlap. How do do this? Imagine that we take all of the classical TRIZ methods along with other important marketing and innovation processes and decompose them into individual tools. Next, we pick up each tool and ask what type of problem does it help to solve? Piles of tools are built where each tool in a pile is related to the same type of problem. If a pile gets too large, we subdivide the problems that the tools help solve into new piles. We go back and forth checking and rechecking to see that all of the tools in each pile handle the same sort of problem and that the distinction is very clear between each pile. Here is a non-exhaustive example of tool piles in no particular order. The act of disassembling the classical methods and other innovation and marketing tools into different piles with clear distinctions allows for new patterns to emerge. Up to this point, we have created a sort of inventor’s workshop. Each group of tools sits in its own pile ready to tackle different inventive jobs. But how do we know when to use a tool or in what order they should be used? Whenever a job is performed, activities (where the tools are applied) must be performed in an optimum order or we mess things up. The performance of one activity typically prepares us to perform other activities. For instance, a farmer will prepare the earth by loosening it and grading it before planting the seeds. Consider what would happen if this order were reversed. Few seeds would emerge into productive plants. The job of inventors and problem solvers is to manipulate ideas and concepts in order to make inventive decisions. Just like the farmer preparing the earth for planting, performing one inventive task creates information that is necessary for other inventive tasks. If we perform these tasks out of order, then we must assume certain things. Please remember that assumptions are paradigms. Assumptions are inventive inertia. If we are to escape these paradigms then we must generate the required information before we perform inventive tasks. This allows us to manage the inventive process to break paradigms. Notice that each decision of the Hierarchy is dependent upon information derived from decisions performed at previous levels. For instance, it is not possible to know key object attributes until the decision has been made as to which objects exist in the system and what their architecture is. Please prove to yourself whether certain levels can be performed earlier without making important assumptions too early. If the hierarchy of decisions is correct then the innovation processes can be viewed as a management of this hierarchy. Consider the way that most companies bring new products to market. Notice that this hierarchy is rarely followed. Key assumptions are made too early. For example, it is very typical that someone comes up with an idea for a product and then requests money to develop this idea. Please notice where “coming up with a product” falls in the hierarchy. This product is usually shown as a schematic representation of an idea. Consider all that was assumed in order to come up with this product idea. What is the target market? What are their requirements? Many things are assumed. Once the idea is funded, it is sent off to finishing school. In order to understand why this happens and why this is not a good idea, let’s look at some of the underlying business assumptions. The first assumption is that a product which is most carefully defined carries the lowest risk. Sometimes an engineer will show up with complete drawings for an idea. Because the engineering work has already been done, then less engineering work must be funded. How can we lose? The answer to this comes in the statistics. Even in the best run companies, the failure rate of new products and product improvements is very high. Ideas which are presented as fully-engineered drawings fall into this trap. A carefully prepared idea that does not support market needs is still an albatross. Experience has shown that when the market needs are considered first and a learning approach (approaches which verify all important assumptions before fully implementing a business model) is applied, the failure rate can be dramatically reduced. This requires a restructuring of the research approach from one of funding product development into one of funding market development. This restructuring can be quite disruptive and may seem more risky in the beginning. But, remember that the alternative is to have engineers assuming market needs without actually being a representative member of the market. Having a ready engineering drawing is no substitute for having good market data. This so-called “risky” approach of funding market development is being followed by Proctor and Gamble and other admired companies. When we develop markets, we approach the ideal of “making what we can sell” rather than “selling what we can make”. Innovating at higher levels often creates the need to introduce new business models in order to reach new markets. This usually requires the creation of a new business in order to avoid the disruption. Other innovations which do not require new business models may still be disruptive to the business. History has shown that companies that are capable of jumping the barriers will tend to have an enduring competitive advantage. This is because competitors will find that they too must hurdle the barriers in order to catch up. This also explains why newer ventures typically have more freedom to innovate at the higher levels. Business models are yet to be established. It is hoped that improvements in the theory will pay off. We believe that this has already happened. You will notice that many new tools, not available in classical TRIZ, are presented in these books. While each level of the hierarchy creates information required by following levels of the hierarchy, it also does not follow that only one idea will be generated at each level. Consequently the solution process can branch into multiple paths at each level. This leads to multiple concepts. It also does not follow that ideas generated at each level will be successful. In order to make any given solution path work, many constraints must be satisfied. Sometimes these constraints are satisfied by turning the appropriate knob and slipping in under the wire. These systems can be more “brittle” or subject to everything going right. A better way is to satisfy the constraints by resolving contradictions. This tends to give more leeway, making the solution path resilient. In spite of this, there is a tendency to leave lesser contradictions unresolved and to optimize the system where it is appropriate. Thus, each solution path evolves independently of other solution paths. In other words, each path becomes somewhat integrated and self consistent. A concept evolution process can take advantage of this by allowing each of the stages of the hierarchy to remain somewhat open and subject to improvement. Improvements in flexibility at one level also cascade to other levels. Thus several solution branches can evolve independently with information sharing between them. These are TRIZ “how to” books. If you are using these books, it is probably because you want to develop a greater proficiency with TRIZ. Skill is the goal and it is essential to have a good collection of tools and to know the proper application and timing for each tool. Think of these books as references that you will come back to time after time. They are invention and problem solving algorithms. These algorithms are presented as steps which build on essential information gathered from previous steps. Each step can be decomposed into finer and finer detail in a hierarchal manner, depending on the problem solving skills of the user and what the problem solver is willing to risk. In other words,the algorithm can be as detailed or simple as the user requires. This allows beginners and advanced users to self-train at all levels. For some books, a condensed cheatsheet algorithm is given. This cheatsheat gives all the necessary information in condensed form. If you need deeper knowledge of the step then refer to the corresponding book. Since it is necessary to use the algorithm over and over, it is helpful to know how to jump to the various levels of the algorithm. The bookmarks to the left of the screen can be used to navigate the book. Clicking on a heading takes you to that point in the algorithm. The Cheatsheets also give the algorithm. Keep the navigation simpler by expanding one step of the algorithm at a time. Each level gives more detail and deeper levels. Only go as deep into the algorithm as you feel is necessary. The highest level of the hierarchy is found in the six book titles. Each title indicates a job that innovators do, in the natural order of application. Notice that each job builds upon information from foregoing jobs. If you knew nothing more than the title of each book, you could use the top level of the hierarchy by brainstorming each book title below. Discovering Markets —Who your target market will be. Creating Offerings — Creating Offerings for the target market. Designing and Prototyping –Creating the architecture of your baseline offering. Resolving Problems –Finding ways to remove drawbacks of the offering. Each of these jobs can be further divided into individual operations which use various inventive problem solving tools designed for that operation. Using the different levels of the hierarchy is like the difference between a rock collector, a prospector and a miner. The rock collector operates at the least detailed level. It is only important to come home with a novel gem. This is where most beginning rock collectors start and it is entirely appropriate for such a beginner to perform simple, yet exciting tasks. Some rock collectors will begin to find other reasons to gather rocks and minerals. Perhaps there is some money to be made in locating prospective mines and then selling them. In order to do this, it is necessary to go beyond the skill of the rock collector. The prospector looks at the landscape and rock formations. She undertakes small explorations into the earth to uncover more information. This level of activity may be completely sufficient for the prospector. In many instances, the prospector may find great riches with minor exploration. If one is especially interested in getting the minerals out of the ground, it may be necessary to go beyond the tools and knowledge of the prospector. The prospector must transition to a miner who goes much deeper and uses more advanced tools to find what he is looking for. Each of these levels: Rock collector, prospector and miner can be achieved when you train yourself in TRIZ. We trust that each user of these algorithms will know when it is necessary to go to the next level. Training yourself in TRIZ is both fun and work. Any good athlete knows that the exhilaration of success comes after much hard work. Most of the work comes from the repeated use of the algorithm which promotes the automatic and subconscious application of the most powerful thought tools. Eventually the brain becomes hardwired for innovation. As the tools proliferate, it becomes apparent that there is a lot to comprehend. Making the individual steps as simple as possible is a goal of this material. As with many disciplines, the nomenclature of TRIZ is often difficult to learn. One goal is to make the nomenclature fit ideas that the student is already familiar with. For instance the classical name “Dynamism” is changed to “Make Adjustable” and “Local Quality” is changed to “Non-uniform.” A certain amount of new nomenclature is unavoidable, and care has been taken to introduce it at higher levels. Most beginners are baffled by the seemingly “obvious” target-solutions presented in TRIZ literature. Many of these solutions are only obvious after the fact and represent large jumps in intuition. Some teachers may feel that these large jumps are a testament to the power of TRIZ and will try to impress the student with them. Unfortunately, many beginners are discouraged that such solutions are not as obvious to them. One goal of this solution-process is to decrease the step size, so that solutions are the result of taking several smaller steps rather than a few major leaps. Along with the concept of “smaller steps” is the idea that solutions need to be visualized in order to become reality. Each step should help the user to visualize a final solution. 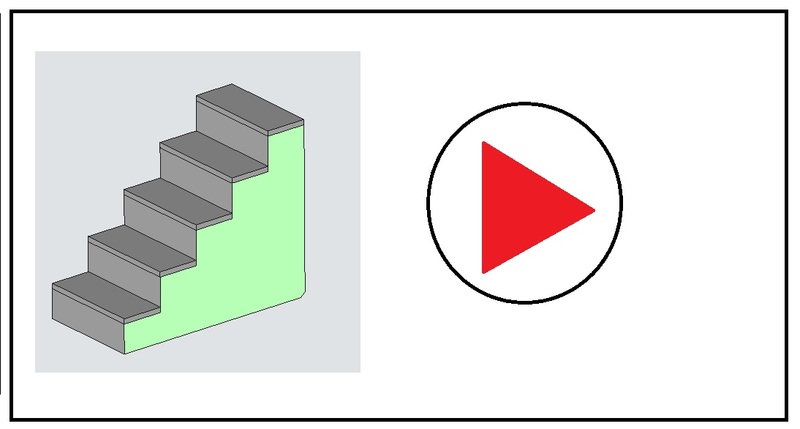 Some may feel that elegance or compactness is sacrificed by expanding classical TRIZ steps, but the goal is to make the solution more easily visualized. The term “solution” means different things to different people. In this book, a solution is defined as a sketch that someone could work from to design hardware. No difficult contradictions or problems would remain to be solved. Simply pointing out a physical phenomenon that might be used to solve a problem would not, in this context, be considered a solution, since difficult challenges would inevitably remain. The beginning of this book series was in the early 90's as a version of ARIZ. As more books were studied, and TRIZ authors presented additional tools, the algorithm became larger. Eventually, by the mid 90's it had become a book. Students pled for a condensed algorithm which was created and used for several years. Eventually this was published in 2003 as "Breakthrough Thinking with TRIZ". The name was later changed to "Breakthrough Inventing with TRIZ" to avoid use of the term "Breakthrough Thinking" which was copywrited by others. The algorithms continued to be refined and revised and a new book was published "Hierachal TRIZ Algorithms". Further refinement resulted in "Hierarchal Innovation Algorithms". It was recognized that inventors perform several different Jobs and that each made use of the core tools. The decision was made to break "Hierachal Innovation Algorithms" into several books which each related to these jobs. Thus the series "TRIZ Power Tools" was created, one book for each job. Each book is meant to stand on its own, so sections of each book are repeated in the other books. Thus a person who is involved in the job of simplifying does not need to refer to other books in the series. Finally, it was recognized the the books had, once again, become too ponderous, especially for beginners. The decision was made to create condensed algorithms or Cheatsheets for each of the books.